On our Appalachian Trail thru hike, we’ll sometimes buy food at stores near the trail, and other times pick up a food box which we prepared prior to the hike. Organizing and creating food resupply boxes is time consuming, but we love the result: better tasting and more nutritious trail food. For vegetarians like us this is especially true, since vegetarian food is harder to find in tiny trail towns. Mailing food boxes also enables us to stay away from larger towns and remain in the wilderness. There’s nothing like the calm that extended time in the wild brings. The first step in preparing food boxes is to create a meal plan. This has been an iterative process for us over the years. Incredibly, after hiking 2600 miles in 2012, we still love most of our backpacking food menu. We made a few small changes for the Appalachian Trail and have updated our list of favorite backpacking foods accordingly. You can view the list at any time by clicking the “Food” tab above. Being on a tight budget, our next step was to contact our favorite companies and see if they’d be willing to sponsor our thru hike. We are very happy to share that many of our PCT hike sponsors are continuing to sponsor us on the AT! Outdoor Herbivore makes the best backpacking meals. It’s hard to find backpacking meals that are vegetarian or vegan, nutritious, mostly organic, and free of preservatives. Outdoor Herbivore’s meals are all those things and very tasty to boot. BumbleBar‘s sesame bars come in a variety of yummy flavors. Their sesame seeds provide good fuel to keep us walking. We love that BumbleBar buys most of their ingredients from small organic farmers which increases sustainability, reduces pesticide use, and supports small communities. Raw Revolution‘s live food bars are jam packed with healthy organic ingredients. These bars have a winning combination of flavor and nutrition. We especially like them for hiking because of their high energy content. Two Moms in the Raw makes organic gluten-free raw food bars with plenty of antioxidants. This family-run company soaks and germinates most of their ingredients to maximize nutrition. We recently discovered these excellent bars and are excited to have them in our food boxes on the Appalachian Trail. For the remaining food, we created a massive list and shopped for many hours at three different grocery stores. Buying in bulk is a great way to save money on dehydrated food, nuts, and granola. This approach means less wasted packaging too. Back at Shutterbug’s parents’ house, we created our own trail mix varieties to suit our tastes (less salt, more chocolate!). The final step was adding the proper amount of breakfast, lunch, and dinner food to each of the 20 resupply boxes. We’ll ship this food cost-effectively and reliably in USPS Priority Mail Regional Rate boxes to small hiker-friendly businesses and post offices along the AT. Thin plastic sandwich bags tear too easily. Ahhh, powdered milk everywhere! We’ve switched to sturdier freezer bags for the AT. No matter what the sales person tells you or how delicious it looks in the store, hard aged cheese will grow mold (the bad kind) after months of sitting in a resupply box. The classic spaghetti shape is a pain to fit into a small backpacking pot. Backpackers love to talk about food and we had a lengthy conversation with other thru hikers about this topic. Everyone agreed that small shells are the best pasta shape for backpacking. Shells pack well, scoop up sauce, and are easy to eat with a spoon. With our food resupply boxes packed and fulfillment of our PCT photography book orders passed along to our friend Jen, we’re itching to go! We plan to begin hiking the Appalachian Trail on March 13. 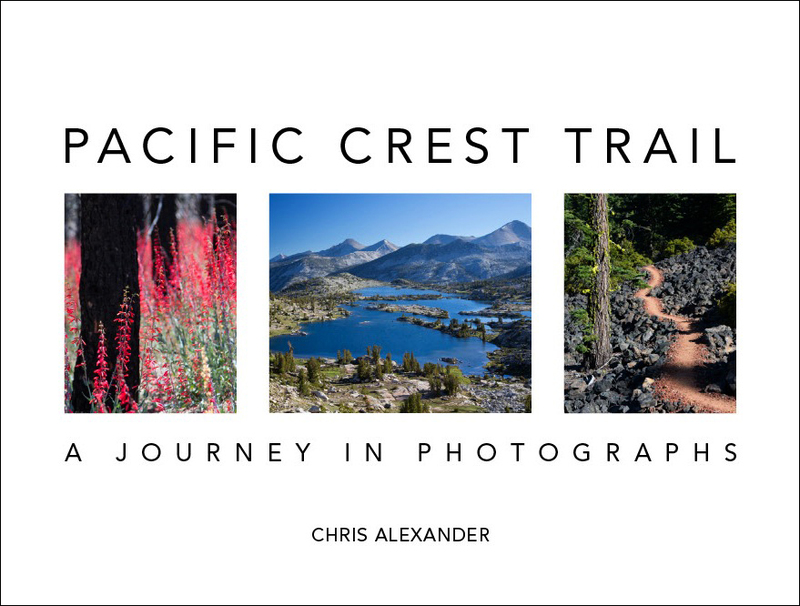 ← Pacific Crest Trail Photo Books Are Here! Great post! Having seen the process up close of collecting the food, sometimes re-packaging it, and then neatly organizing it into the re-supply boxes, I am totally in awe of how organized and efficient you are. And we (and many of our friends–we are showing it to everyone, it is so beautiful) are so thoroughly enjoying the amazing PCT photographs in your book. Thanks again for bringing all us along with you as you hike, through this blog and through the book. What a privilege. Thanks Jan! And thanks for letting us take over your living room and/or porch for a few days as we prepared our AT food boxes. Glad you’re enjoying the PCT photography book so much! Almost every time you show it to someone, they order one for themselves. It really speaks to the power of the book. Thanks for sharing the book with your friends! I know you include chocolate in your trail mix. Doesn’t it melt? Looking forward to following you on this trail. I gave your book to my partner,Tom who hiked 2000 PCT miles last year, and he loved the picture of the trail high on Goat Mountain. If the chocolatey trail mix is sitting near the outside of our pack, it occasionally melts. Once it cools back down, it’s easy to eat again. We just have chocolate covered almonds :) The trail perched on that knife edge ridge in Goat Rocks was out of this world. Hope the book is bringing back lots of great memories for Tom. Thanks! Like you say, we’re really going to appreciate all this prep work in the coming months. Lots of adventuring ahead on the Appalachian Trail! Your adventure is our adventure. Make it amazing! Safe travels! Will do, thanks! Don’t know what our AT thru hike has in store for us, but that’s part of the adventure and fun! Thanks for posting! Your PCT food always looked good, and your AT food looks even better! You will eat very, very well! Just curious, but what are your favorite Outdoor Herbivore meals? Our favorite Outdoor Herbivore meal is blackened quinoa. Second place would be the Sunny Sunflower salad, which is especially nice on hot days. Other really good options are the lemon quinoa tabbouleh, cibola couscous, apple quinoa oatmeal, basil walnut penne, denver veggie scramble, pesto herbilicious, and chickpea sesame penne. We love the variety. I met you guys on top of Snoqualmie pass Wash. I am looking forward to following you on your adventure. Happy trails. Hi Glen! The PCT near Snoqualmie was awesome. Thanks for coming along with us (virtually) for the AT! I enjoy your insight and anticipate reading about your adventure. Travel safe! Thanks! 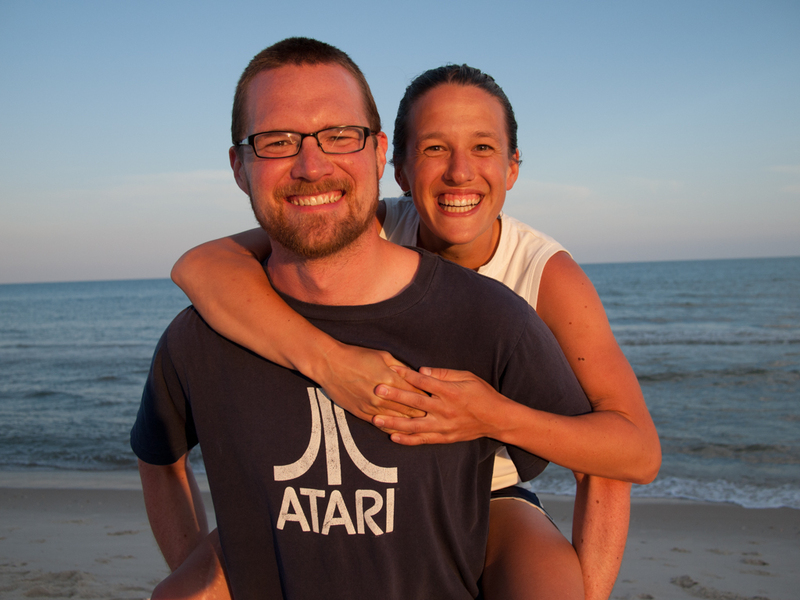 We’re excited to share our experiences from the AT. Sweet, thanks for spreading the word! March 13th! That’s next week! (and also my birthday – a very auspicious day to begin, if you ask me.) Can’t wait to follow along with you on the AT. Have a great birthday, Denise. Glad your exciting day will coincide with ours! Have a great hike. After following your PCT hike, we look forward to reading your entries and seeing your pictures from the Appalachian Trail! Thanks for posting information on your sponsors and listing your food favorites. Always looking for good hiking snacks and will have to check into those companies. Definitely give them a try — we’re big fans of them all. Glad you’re sticking around for our second big adventure! Hey, you two! Those foods look yummy! Have to try them out!! Question: Is having enough ‘roughage’ ever a problem? Looking forward to this next armchair adventure & oodles of photos!!! Miss all that. Hi Margaret! We love all the foods we mention here and definitely recommend trying them. We haven’t had any particular dietary issues which may be because we bring a wide variety of healthy foods on the trail. It’ll be great to get back to having lots of adventures and posting about them here! Great web site Anna and Chris. I am looking farward to a great time on your adventure. Happy trails. Oooh I’m getting so excited see all your preparations! Have a great time Anna and Chris. And I’m looking forward to reading about your adventures. That’s awesome, Elif! Most people (kids and adults) don’t seem to realize how powerful and efficient solar panels have become. Thanks for the good AT wishes. We start the day after tomorrow! Bon voyage! Hope the snow’s not too deep & you can sight spring coming every step of the way!!! We’re really looking forward to watching the emergence of spring as we hike! FYI – in case you had planned on staying here – the Rendezvous Motel in Pearisburg burnt down. See attached link for information. We weren’t planning to stay there, but thanks for thinking of us and letting us know! Best of luck! We hope to do some trail magic in MA and/or VT so maybe we will get to meet you… Cheers! Thanks guys! We’d definitely enjoy that if the timing works out. All the best to you both. Some of my hiking friends met you on the trail in Georgia this past weekend. Good luck on your journey. I see you have all your food drops planned, but if you would like to receive a care package with some homemade dehydrated vegetarian meals, I’d be happy to send them to you. Perhaps you would like a little write-up and cover photo on my newsletter, Trail Bytes, at BackpackingChef.com? I’m sure many of the readers would be interested in following you. Drop me a line when you get to a trail town. Best regards and wishes for a wonderful AT Thru-hike. Thanks very much for the offer, Glenn and Dominique! The care package and newsletter write up both sound great. We’ll email you directly with more information. Cheers!